We want to give you a glimpse into the history of Celebration from the very beginning. The history of Celebration Church has been nothing short of amazing! 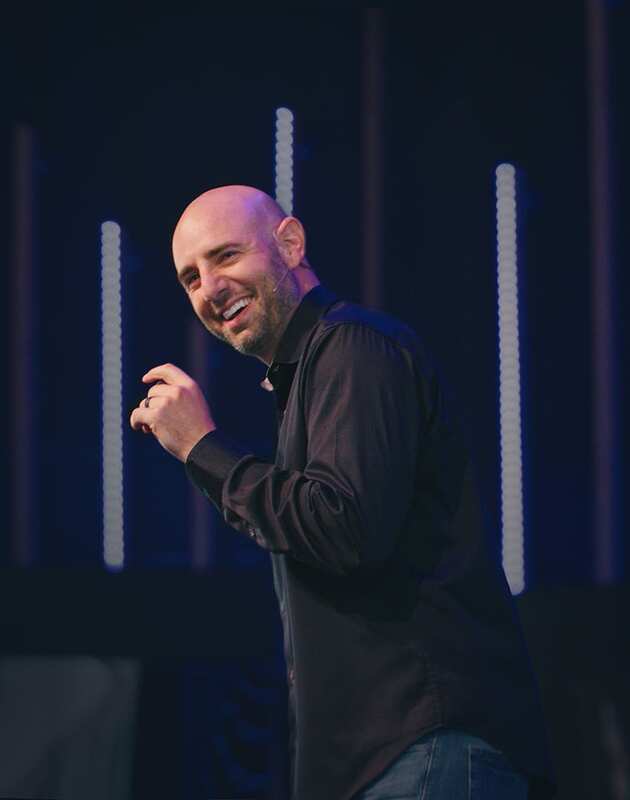 While Pastors Frankie & Allie Mazzapica were on staff at Lakewood Church with Pastors Joel & Victoria Osteen, the Mazzapica's were divinely inspired to start a Spirit Filled church in The Woodlands, Texas. The Mazzapica's prayed about the decision for almost two years until there was a peace about when it would please the Lord to start the church. After resigning from Lakewood, and preparing for six months, the Mazzapica's had their first service on June 4, 2005 in The Woodlands. Celebration Church was birthed. Five people from The Woodlands showed up for the first service. Shortly thereafter, Celebration Church outgrew their first rented facility, Interfaith of The Woodlands. After a period of time, Celebration outgrew their next home, Sally Ride Elementary, after which their home became The Woodlands High School. In the summer of 2010, Celebration took possession of a beautiful church facility right in the heart of The Woodlands! Today, Celebration Church is still prioritizing the Word, Worship, and the leading of the Holy Spirit. Every church with the Lord’s signature on it has a divine mandate. For Celebration Church, our God given assignment is to be a Source of Strength. Our goal at Celebration is to strengthen the individual, strengthen families, and equip every believer to strengthen others. At Celebration we will introduce people to Jesus Christ as their personal Lord and Savior. Jesus Christ is every person’s primary Source of Strength because of the forgiveness of sins He offers to all who ask and the free gift of Salvation His work on the cross accomplished. At Celebration we will encourage a relationship with the Holy Spirit as a Source of Strength. At Celebration we will be a church family that will be a Source of Strength by offering community, relationships, spiritual sharpening, encouragement and support to every member of our Celebration family. At Celebration we will be a Source of Strength to those in need locally and internationally through evangelism and mission efforts. At Celebration we will be a Source of Strength in helping people recognize the specific and purposeful call that God has for their life and launch them into service; either full time ministry, ministry at home, or in the work force. At Celebration we will be a Source of Strength to ministries in our own community and around the world. We will respond in obedience to the Great Commission, sharing the gospel of Jesus Christ efficiently and with greater momentum. At Celebration we will aim to cultivate a church family in which each person is strong physically, emotionally, spiritually and financially, that they themselves will be Source of Strength to lead their own sphere of influence. What a joy it is to introduce you to our church! You’ll discover that our passion is to provide a place where people just like you can have a life changing experience with God. At Celebration Church, our doors are wide open to people from all backgrounds, regardless of where they are on their spiritual journey. What people usually notice first about us is the life-giving nature of our ministry. Our goal is to infuse life and God’s love into people and families through engaging, powerful worship services that offer biblical truth in relevant and practical ways. It won’t take you long to discover that we’re more than just a Sunday church. In fact, it’s our goal to live life together through our ministries and interest groups! If you would like to develop authentic and enduring relationships with others, you’ll be glad to know there areopportunities to join a group all the time. Together, we’re striving to become the kind of church described in the Bible, where there’s relevant teaching, heart-felt worship, honest friendships, constant prayer, and compassionate care for those in need. In short, we’d like to have the kind of contagious Christianity that can influence and encourage the entire community, one life at a time. So whether you’re a spiritual seeker who’s just starting to ask questions about God, or a committed Christian who wants to sink the roots of your faith even deeper, you can find a home here at Celebration! In our relationship with God, our family, our friends, and our world ... it’s where new heights begin. We invite you to worship with us this Sunday! In the meantime, you’ll find everything you need to get connected to Celebration right here on our website. You can use this site to check out our Student Ministries, listen or watch one of our weekend services, find information on our life groups, or read about what’s going on around the church.